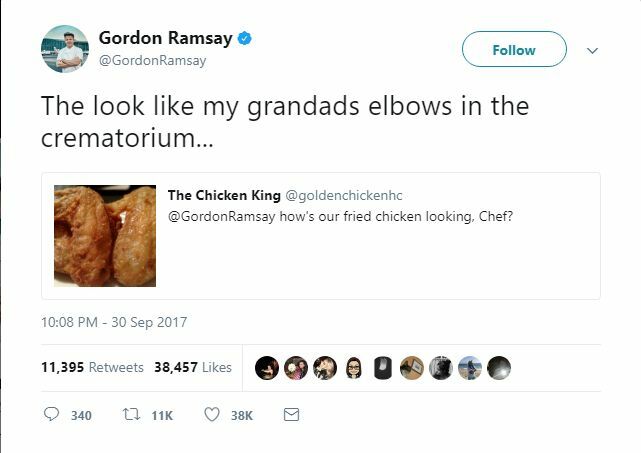 Gordon Ramsay isn’t exactly known for his warm and fuzzy tutoring of budding chefs. When push comes to shove, he definitely takes a tough-love approach… usually minus the love and with an extra dose of tough. 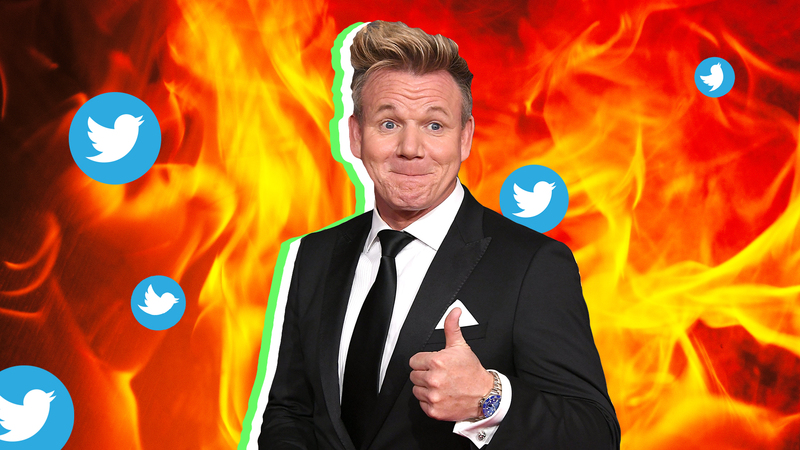 But before people even apply to show, they already face Ramsay’s scrutiny. 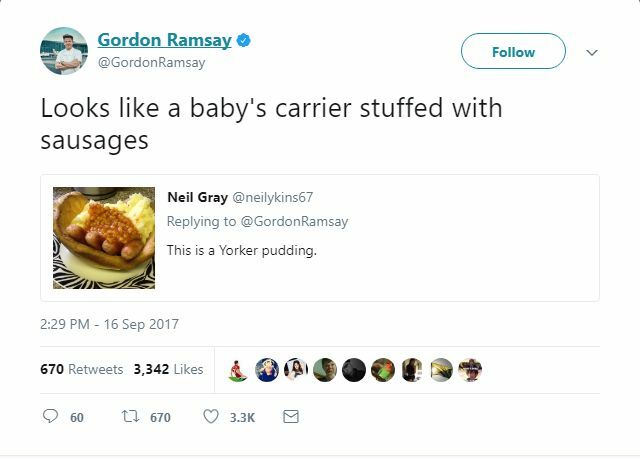 For some reason, these masochistic cooks have taken to sending Ramsay pictures of their culinary creations on Twitter, asking him to rate their dishes. 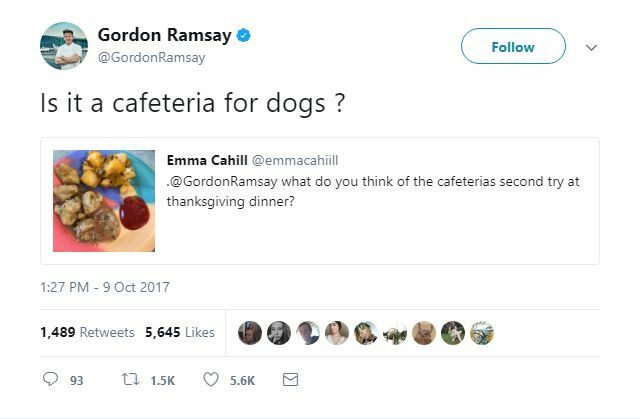 Hey, it takes a braver chef than me to try to get positive accolades from the overlord of Hell’s Kitchen. And as you might expect, positive accolades aren’t exactly what he’s serving up. 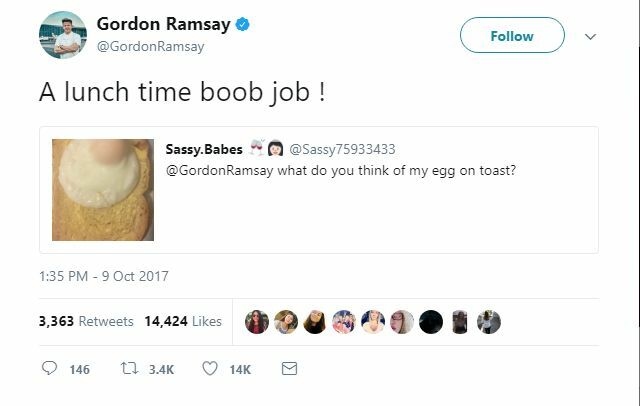 From the puzzling and funny to the downright cruel, Twitter just eats up every last one of Ramsay’s barbs. See some of the funniest in these slides — and if you were thinking of seeking approval from the devilish host himself, maybe these can convince you to change your mind. 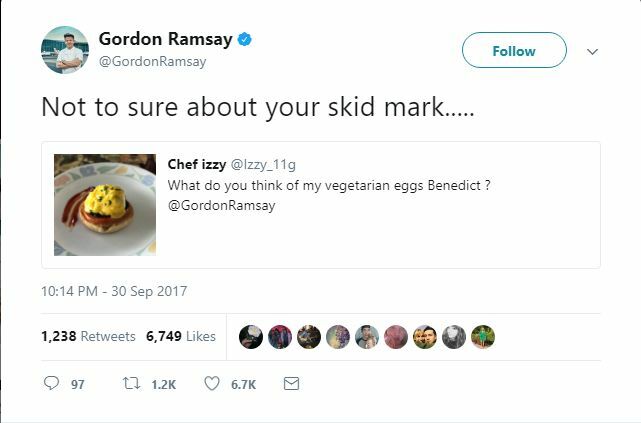 Ramsay was not a fan of this meaty concoction. 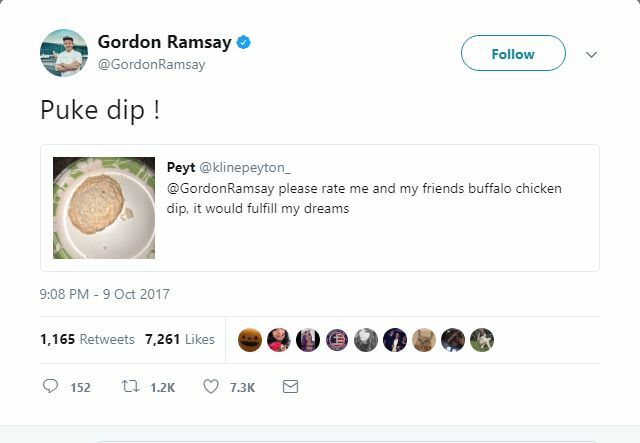 Whatever you do, do not bring dip to a party that Gordon Ramsay is attending. 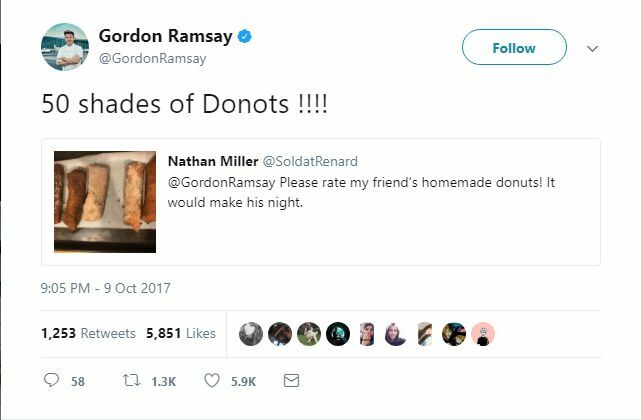 These doughnuts were less than pleasing to the chef. 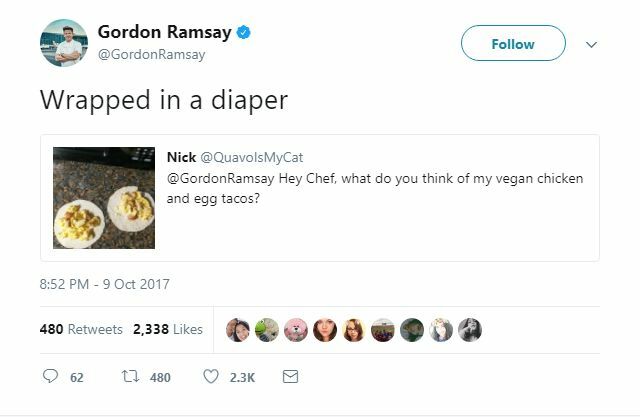 Vegan tacos in a diaper? 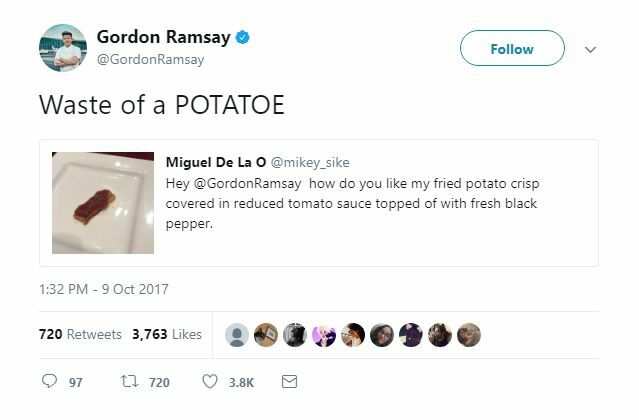 Now there’s an innovative cooking hack. This potato/severed toe covered in blood would be great for Halloween dinner. 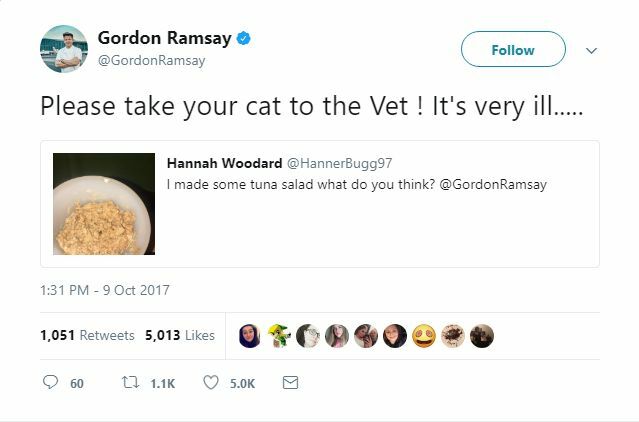 Who hasn’t gone to take a bite of tuna salad only to have this thought? 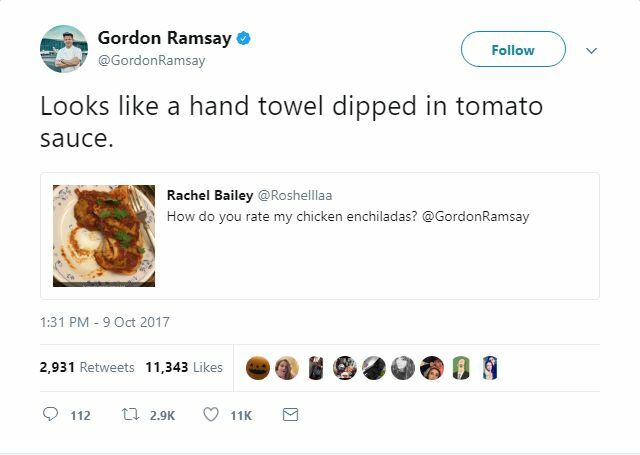 If you think of the tortilla as a towel, then yes, that is basically what enchiladas are. If it makes you feel better, to a dog, everything is dog food. Questionable sauce plating is a true scourge among budding chefs. 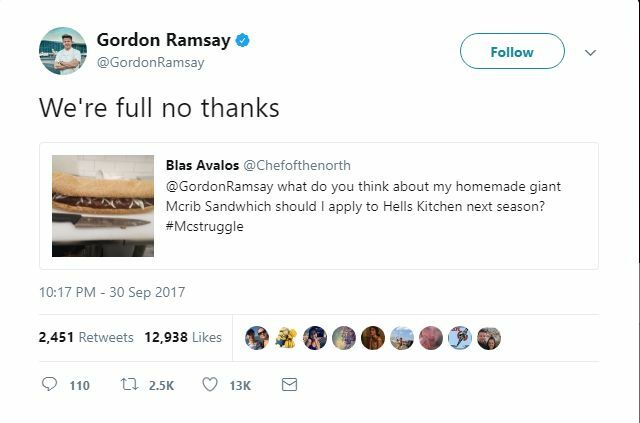 Thinking of applying to appear on Hell’s Kitchen? Think again. 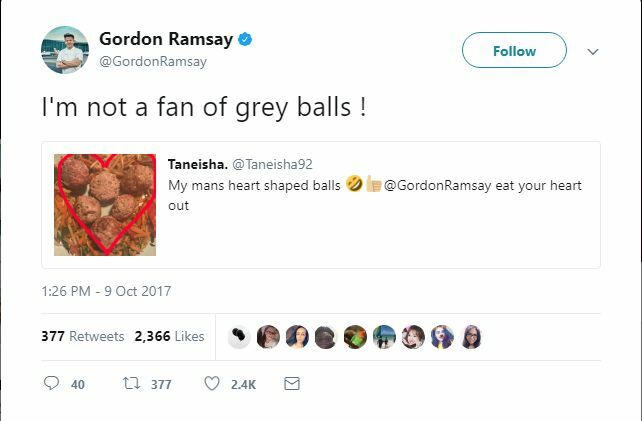 Heart-shaped balls… gray balls… Ramsay wants nothing to do with any of it (and neither do I!). Even Mother Monster herself, Lady Gaga, isn’t safe from Ramsay’s harsh words. Ramsay tore apart this birthday cake she helped bake and her Little Monsters were not too happy with Ramsay.